The Forex marketplace remains the largest trading market in the world today. More than $4 trillion is being bought and sold on a daily basis in the Forex market. Being the ideal place for short-term trading opportunity is one of the factors that make the Forex market very popular, even here in South Africa. Each South African Forex trader can boost his account balance using leverage, which also makes it very easy to place several short trading orders and make small profits from each that will add up over time. Furthermore, you will not be charged a commission or fee when you trade Forex; you are only required to beat the pip spread after which every other thing you make will be your profit. The absence of commission or fees per trade contributes a great deal to the cost-effective nature of short-term trading. In short-term trading, you can close the trade after you have covered the pip spread and make a little profit. You can repeat this several times in a day to compound your profit. Bear in mind that the Forex market is open for the 24 hours per day and straight days, leaving out the weekends during which the market is closed; the trend is the same here in South Africa. 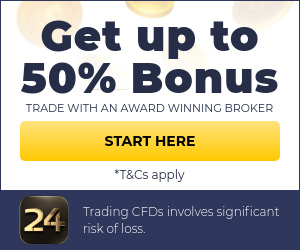 As a result, there is an ample opportunity to place several trades per day and also make huge profit cumulatively. Despite the huge profit-making opportunities in short-term Forex trading, the South African trader needs to understand how it operates to ensure a consistent profiting. A short-term Forex trader should have a working strategy developed for short-term trading. Bear in mind that not all forex trading strategies can be used for short-term trading. Some trading strategies are specially developed for short-term trading, while some are not. You should be very sure of the accuracy of your strategy before you ever use it for short-term Forex trading. You should back-test and demo-trade the short-term strategy before using it for real trade. Furthermore, you should choose your broker very carefully if you prefer short-term trading. Some brokers delay trade execution, and you might have lost a good opportunity to cash in on a lot of pips before they finally accept the order. Short term forex trading is profitable provided you have a reliable trading strategy specifically developed for short-term trading. You also must register with a reliable Forex broker if you must make a consistent profit from short-term trading. Finally, make sure your internet connection is excellent while trading Forex short term.